Be a part of the Snow Patrol! 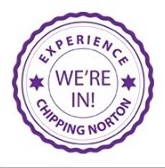 Could you volunteer to drive the Quad Bikes for Chipping Norton’s winter snow patrol? Mayor Mike Tysoe is holding a training session at 10am this Sunday (21 December). If you are interested please call Mike on 01608 643028, or just turn up at New Street Car Park at 10 am. This entry was posted in advert, local services, news and tagged Chipping Norton, mayor, New Street, snow, snow patrol, winter. Bookmark the permalink.